First it was Cocoa Michelle. Then — just over a year ago — it became BonJo. Next up: Winfield Italian Deli. The BonJovians say they focus their energy on their wholesale business. They’ll keep their Stamford shop. BonJo did a brisk morning business with commuters. The staff was friendly, and knew their regulars’ orders. 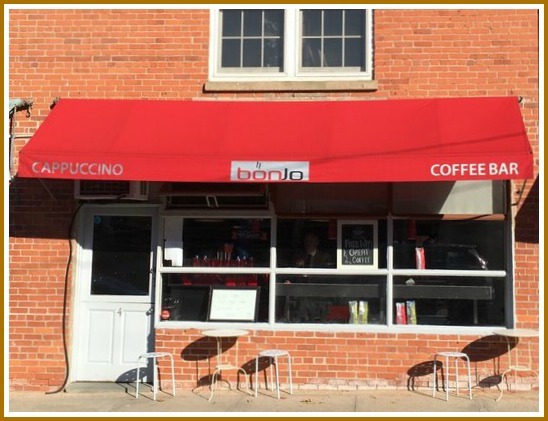 Winfield Deli will continue serve BonJo coffee — and the chocolates that reminded customers of Cocoa Michelle. And — not that it means anything — but they’ve got a distinctive red awning on Winfield Street in Norwalk too. Goodbye, Cocoa Michelle. Hello, Bonjo! Cocoa Michelle — the long-lived, very popular coffee-croissants-and-chocolates spot across from the train station — is closing today. They’ve been bought out by their coffee roaster. On Monday, they reopen as Bonjo. The current staff is staying. And Bonjo will feature an expanded selection of food. For the rest of the week, there’s still Commuter Coffee. And — on the other side of the tracks — Steam. The cozy interior of Cocoa Michelle. 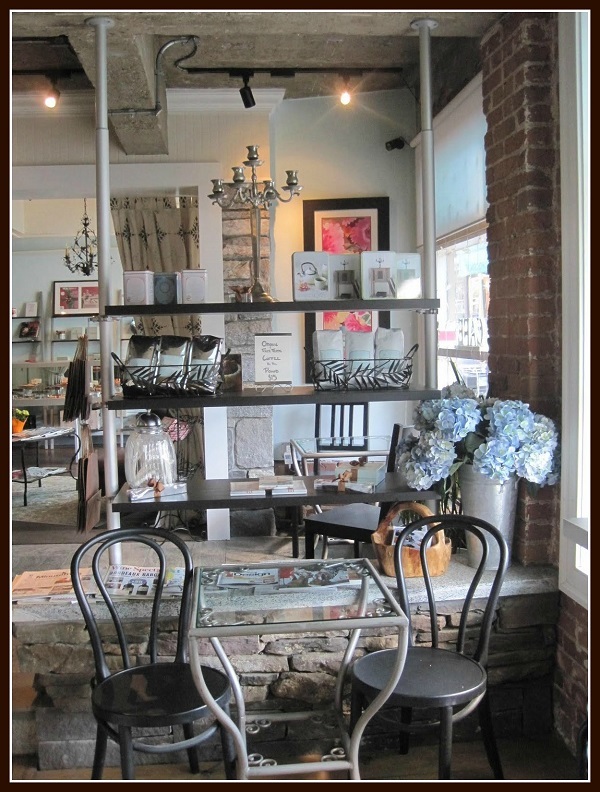 The blogosphere is filled with Westport dining news. 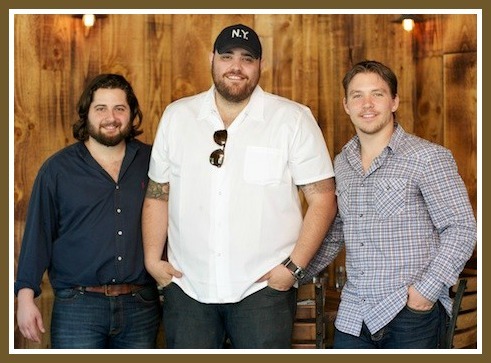 CTBites — the go-to site for Fairfield County foodies — recently profiled Fortina. What makes this just-over-the-border place “06880” worthy — besides its “rustic hipster vibe” — are its owners. Two of the 3 — Rob Krauss and John Nealon — are Staples grads. They met at a place not normally associated with fine dining: the Wrecker football field. They’ve been good friends ever since. CTBites says that Rob, John and non-Stapleite Christian Petroni seems “more like a brotherhood” than a partnership. And “this feeling translates across the restaurant’s service team and into its dining room.” All 3 formerly worked at Barcelona (whose co-founder is Staples graduate Sasha Mahr-Batuz). 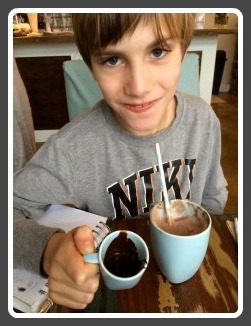 Meanwhile, over on Sunday Diners — the blog about Fairfield County’s best breakfast spots, written by 5th grader Alex D’Adamo — the buzz was all about Cocoa Michelle. Alex’s father had a 3-egg omelet, with crushed rosemary-marble potatoes, buttered brioche with goat cheese, and fines herbes. “He loved it,” Alex reports. CTBites did not grade Fortina. But we are sure its bathroom is as cool as its food, too.